Happy Friday! I hope this day finds you all in great spirits! It is truly amazing to be able to witness such a blessing of life! I seriously had not expected to have had flowers already, after reading that it could take up to two years to mature and flower. 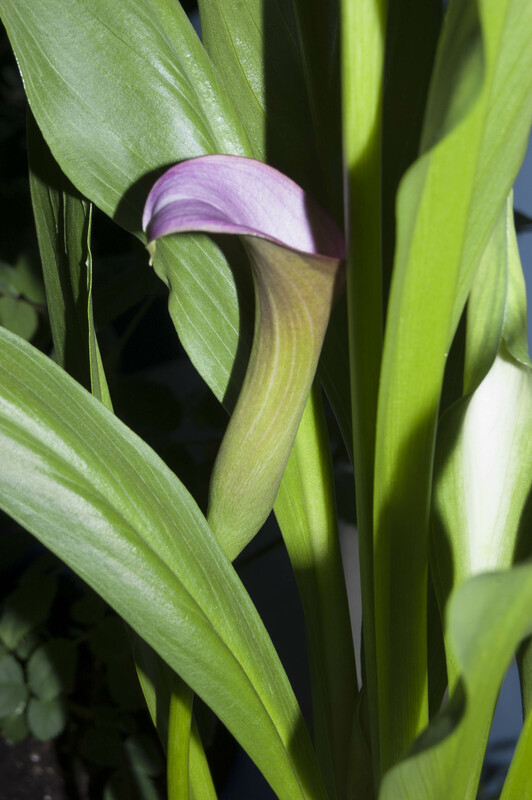 I am definitely going to be keeping these Calla Lilies perpetually in my little jungle! Greetings from Jenn’s little “jungle”! I happy to report that after a scary couple of run-ins with Baby girl, it has survived its special toddler lovings (in all fairness, she thought she was “helping” me) and is now blooming. 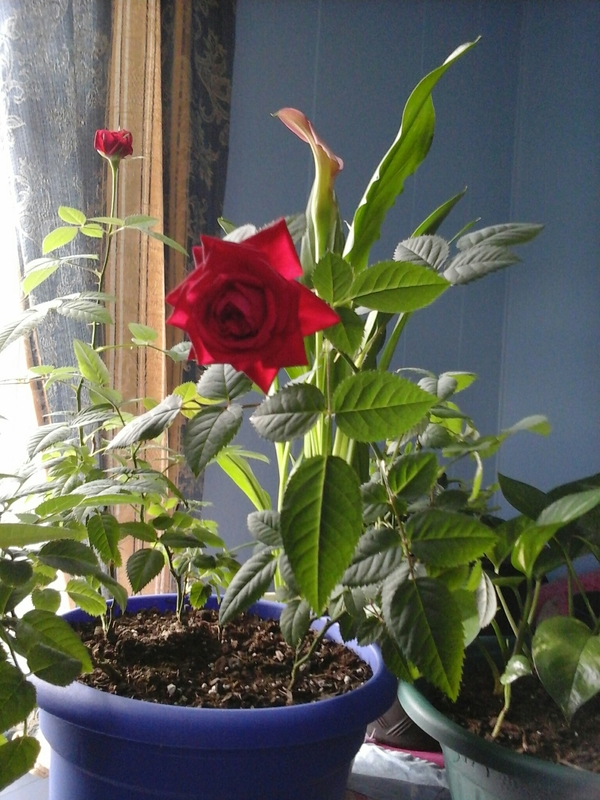 Funny thing is, it’s not bi-colored like the last roses were, though it is still beautiful nonetheless.